Are Your Photo ID Cards Fading? Here’s Why You Need to Act Fast. Fading photo ID cards are more than just poor corporate image. Rather than continually wasting time and money on reissuing cards, you may need to look deeper at the root cause. Why your photo ID cards are fading? What are the risks of a faded ID card? How to prevent your photo ID cards from fading. One of the main reasons why photo ID cards fade is due to environmental factors. If you’re using your ID card every day, it will be exposed to all elements, especially for anyone working outdoors, so ID Cards will deteriorate much faster due to the wind, rain and sun. Alongside this, if these cards are used for access control purposes, they will most likely be swiped across machines or pressed at doorways. Although this is a smart way of allowing access for a large number of people, this continual use can cause the cards to fade much sooner. Many employees need their ID card at all times in their workplace, so it must be kept on their person, but this can mean damage happens much more quickly. The majority of staff members will keep their card in their pocket where it could be scratched by keys or left in their clothes and put into the wash. This, understandably, damages the card, eventually making the image unrecognisable if it isn’t broken before then. Although the first two reasons explain long-term damage, the most common problem is the type of cards being used. It’s guaranteed that ID cards will be exposed to elements, but they won’t fare half as well if they’re not made from a good quality, durable material. The cards you use might not be right for your ID card printer, or they may not be the right quality for your needs. If your card printer is printing out a very pale card or is reporting multiple errors when you try to print, check the power supply that is being used with your printer. 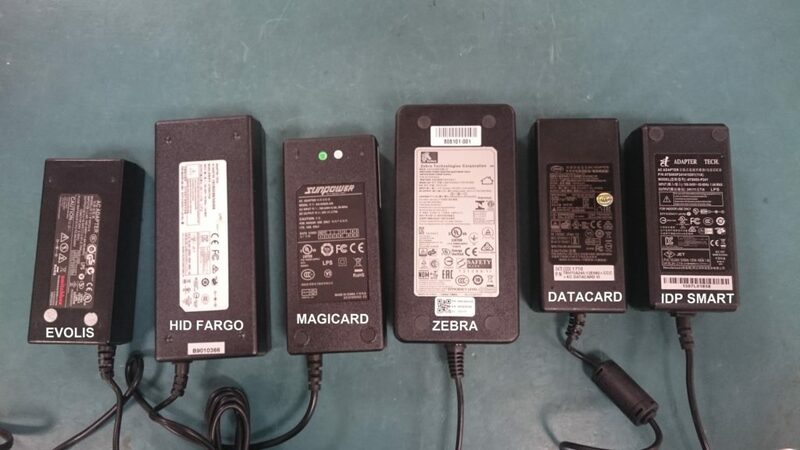 All ID card printers are supplied with a specific PSU (power supply unit) bespoke to the printer model. These are always rated at 24v output which is the voltage required for a card printer to function properly. Although other IT equipment may have a similar looking PSU, it will undoubtedly have a lower power rating and will not work with your printer correctly. The above photo shows the most common PSU’s that come with printers supplied on the market today. It’s vital to check your using the right PSU for your ID card printer. Often, the card design you’re printing is not compatible with your ID card printer, meaning it won’t print to its full capability. For example, direct-to-card printers cannot print over-the-edge and so leave a small, white boarder. If you haven’t taken this into account and changed your measurements, then you will be cutting off the edge of your design. 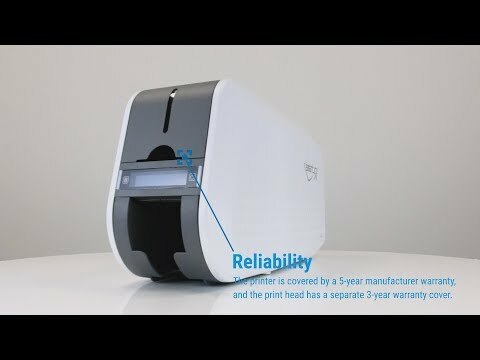 You need to look at the type of printer you’re using and whether it can produce your current card design. This also applies if your card design has changed. You may need to alter your printer selections and specifications to match what works with both your design and your ID card printer. What are the Risks of Having a Faded ID Card? But what is the problem with having a faded ID card? In short, the answer is yes, it does matter. If the image on the card isn’t clear, then anyone can claim it’s their card. External threats could even use a blank ID card and declare the image completely rubbed off. This will leave you vulnerable and potentially open to a security breach. In larger companies, security staff can’t remember every single employee and generally have no way to verify their identification. This could have a detrimental effect if an external source gains access to sensitive data or expensive equipment. This not only calls for you to question your ID cards but also to question how staff members challenge unknown visitors with no visible ID. Even if these visitors are regular, it is imperative to have secure visitor protocols in place along with staff having fully functional, identifiable ID cards. If you are having to reprint cards again and again due to the cards fading, this cost can quickly add up, especially if these are access control cards. If you only need one new card, this also becomes an issue as generally blank plastic cards are sold in packs of 100, causing you to spend more unnecessary money. For many companies, employees need their ID card to access the premises, so waiting for a new card to arrive causes problems. It is imperative to assess the root of the issue, whether that be the cards your printing with or the printer itself. Always check all equipment as you will only be wasting money on ID cards that won’t stand the test of time. For many organisations, one of the first things a visitor sees about an employee is their ID card. If these cards are not up-to-scratch, this shows a lack of effort and professionalism. First impressions count, so it is vital that everything, even down to the photo ID, is of a high standard. By getting staff involved with the process of making the ID cards, they will be much happier to show off their creation and ultimately take better care of it. 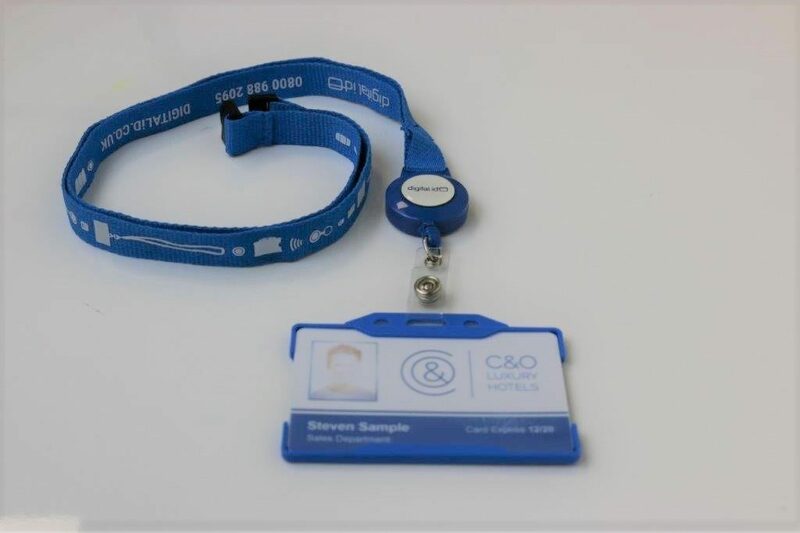 When staff wear their ID cards out of the office, this is a great way to market your brand to a wider audience, but if your company logo can’t be seen, then it is a wasted opportunity. To stop photo ID cards from fading, you need to look at how to prevent it from happening in the first place. There are several methods as listed below. The key solution is to be careful, but that’s not always practical. If your card is in use every day, then it’s bound to get scratched and exposed to the weather, no matter how careful you try to be. The best way to look after your cards is to protect them. Using an ID card holder shelters cards from the elements, ensuring they last much longer. 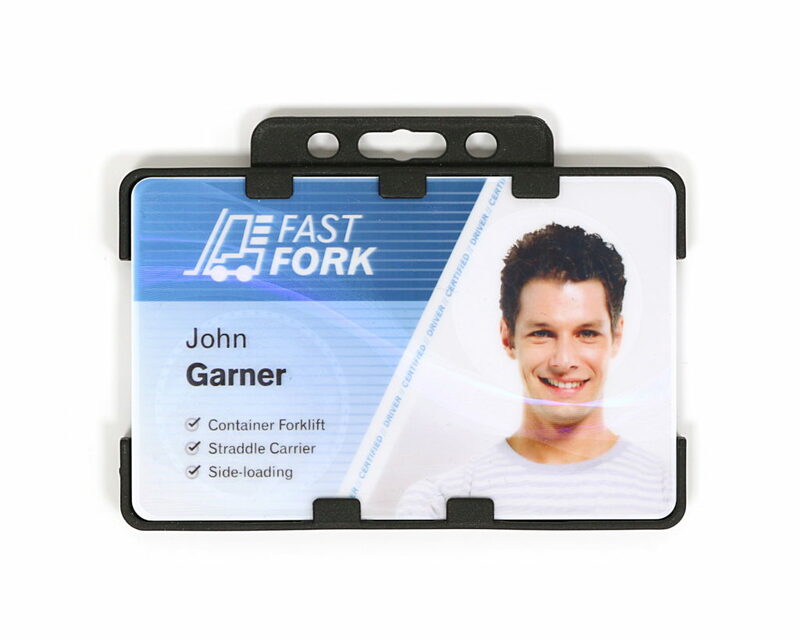 ID Card holders prevent cards from cracking and bending and keep them protected from the environment, all while ensuring complete visibility of the ID. The reason your ID cards may be fading is due to the actual card itself. When was the last time you bought new ID cards? Perhaps they may be long due an upgrade. If the cards you are printing with are outdated or poor quality, they will fade quickly. You may need to reassess the type of cards you use and whether they need updating. Perhaps it may not be your cards that need updating but your printer. It is very common that once a printer becomes dated, its printing power is not up-to-scratch, and if your printer’s very outdated then your cards will be too. It is always important to stay current with your ID card printing and evolve with the times. For example, more and more printers are being released with GDPR features as they recognise the importance of security enhancements. Your ID card printer can even violate your business’ security policy if all elements are not properly looked after. For example, if used card printer ribbon data is not securely disposed of, this can cause a data breach. Take a look at the root of the problem. It’s always better to prevent damage rather than to fix it. 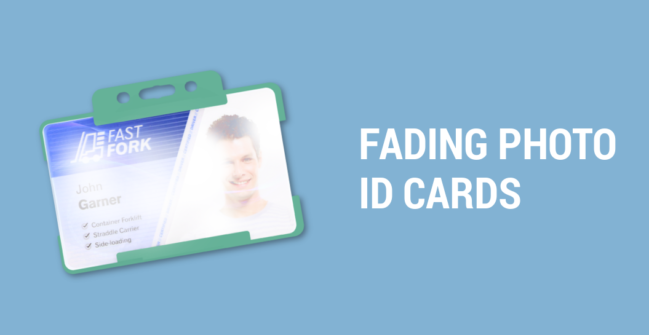 Faded ID cards require as much attention as cracked or broken ones, and it is important to assess all causes of the issue. A simple change of card can create a massive difference for your business, including the safety of your employees. If your unhappy with your current photo ID cards due to fading or want to reduce your mounting re-issuance costs, get in touch today for a free card analysis to help you sort the problem.